hope we get to see more of you on and off screen...you're an amazing actor,but a superbly brilliant director. wishing you the best of everything that life has to offer! A happy birthday on behalf of a french fan Mr. Gubler !! Happy Birthday Matthew!!! you are freaking amazing! Happy Birthday Mr. Gubler! May this birthday be everything you wished for and more. Continue being awesome. Happy Bday!!! Hope you have a wonderful and unique day, eating lots of ice cream in your pj´s!!! Happy Birthday Matthew!! I hope it is wonderfully fantastic!!! Happy birthday! I hope you have a super terrific day! May God bless you and all you do in the next year. I think you are a spectacular man! Stay true to yourself and don't ever change! Lots of love coming to you from Indiana! XXOO. Dee. Happy birthday Mr.Gubler!Wishing you the best.Have a great day. Happy Birthday Mr Gubler, you absolute beauty of a human! Have a good day! :) love the future wife you don't know you're marrying yet! Happy Birthday Matthew! Have A Great One. Love You On The Show Watch You Every week. HAPPY BIRTHDAY Matthew! You are so brilliant!! Happy Birthday Matthew! Enjoy your special day! Happy birthday Matthew! I hope that your day is special. Love you on the show, stay funny. Happy birthday Matthew! Love your character on the show! You bring a lot of joy to a lot of people. Long, healthy, happy and prosperous life to you, Matthew! Happy Birthday! Hope it's an awesome day. All the best wishes for you on this special day. Make it count! Happy Birthday Matthew! You're my favourite actor, and the sexiest man in Hollywood. I hope you have a fantastic day, filled with all the things you love most in the world. Love you lots! Here's wishing you a very special 33rd birthday! Happy birthday!! Best birthday wishes from kansas citttty! Happy Birthday Best wishes to you from Long Island!! Happy Birthday, Matthew! :D I hope you'll have an amazing day! Happy birthday from one former Vegas resident to another! Wishing you the very best that life can offer for you today and everyday Matthew. Happy Birthday. Hope the rest of your days feel like you are in the middle of directing a crazy weird dream inspired movie. Happy Birthday Matthew, hope it's the best one yet. Happy Birthday, Mr. Gubler! You inspire me every day and make me smile whenever you post. Happy Birthday Matthew! 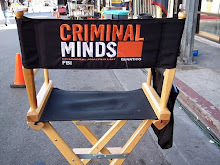 I love you on or off Criminal Minds! :) Enjoy your day! Happy Birthday Matthew!!!! Hope you have a great day! Happy birthday! I hope you have an amazing, wonderful day, because you deserve it. You are an incredible actor and person. P.S. I got your new radical man t-shirt and it's the best! Happy birthday Matthew ;) make it a great day!! Happy birthday, Matthew!, our resident boy wonder genius! Hope you have a great day. 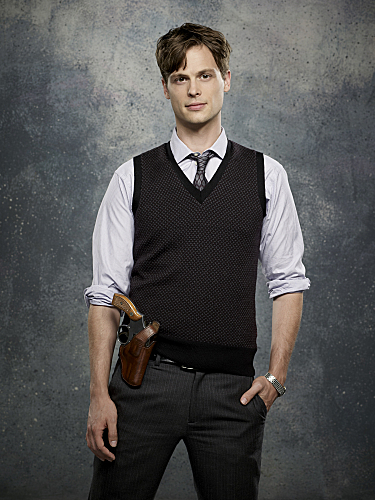 Happy Birthday MGG! Have a wonderful day. Happy birthday! And congratulations on directing another episode! Happy belated Birthday to a talented actor! I was thinking about you yesterday and hoping it was a wonderful day for you. Wore my new radical man shirt in your honour - really do feel like I'm wearing a cloud. Birthday wishes from Kitchener, Ontario. Wishing you the best Matthew. May all your dreams come true! Party and enjoy! Happy Birthday!!!! Sorry Im little late, have the best of days and have a happy birthday!!!!! Happy belated birthday! Hope it was a great one. Aside from your awesome work on Criminal Minds, I really enjoy your artwork and I liked your website gublerland.com. You are unique and unique people are the salt of the earth. Please keep doing what you do. I am probably the only fan my age but, I love your acting and you are an amazing artist! Happy early birthday mathew. I hope you have a nice day everyday. Sorry if I misspelled anything. Happy birthday. Off the record though what's your favorite song? And I'm extremely sorry if this freaked you out. I'm just weird that way.